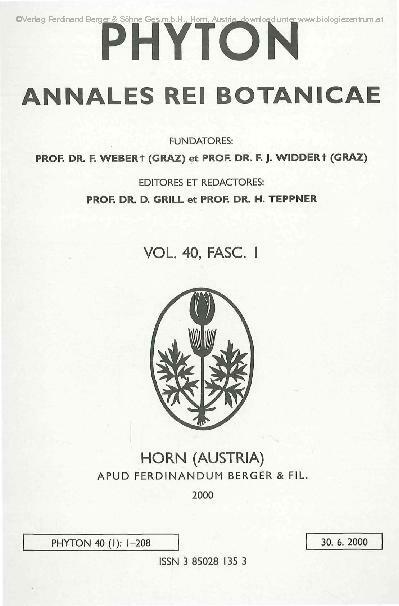 Contents: Die Zeitschrift widmet sich der Publikation von wissenschaftlichen Arbeiten aus dem Gesamtgebiet der Botanik. 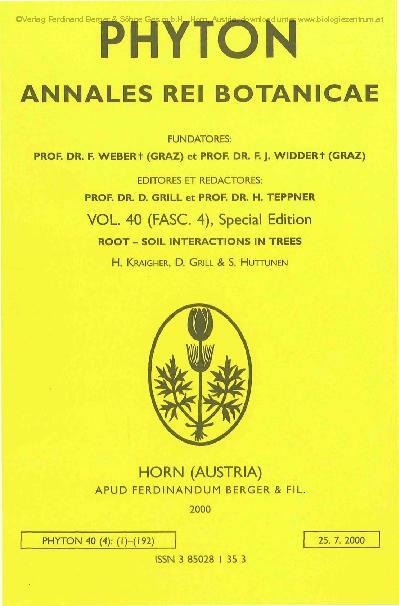 42_3 (2002): Phyton 42/3; Special Issue: "Global change"
41_3 (2001): Phyton 41/3; Special Issue: "Nitrogen emissions"
40_4 (2000): Phyton 40/4; Special Issue: "Root-Soil Interactions"
40_3 (2000): Phyton 40/3; Special Issue: "P.J.C. 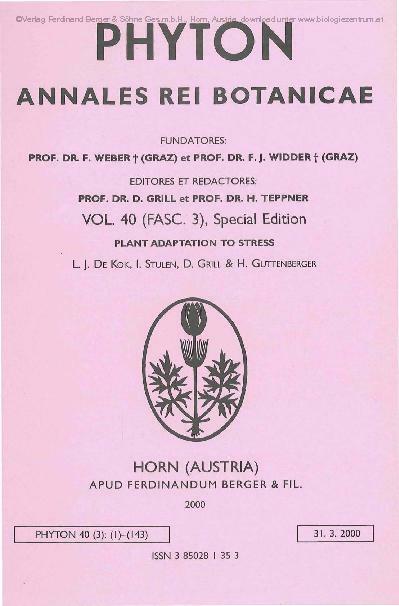 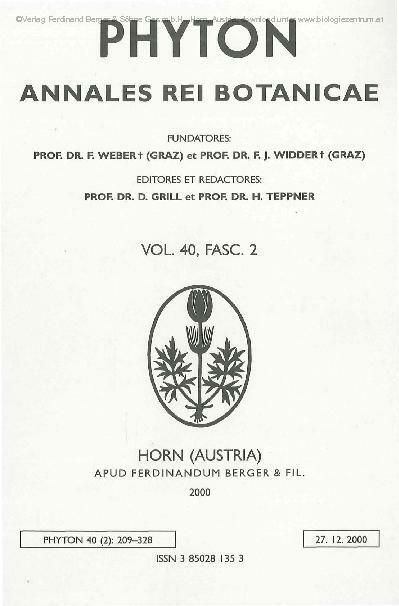 Kuiper"
39_4 (1999): Phyton 39/4; Special Issue: "Eurosilva"
39_3 (1999): Phyton 39/3; Special Issue: "Plant Physiology"
37_3 (1997): Phyton 37/3; Special Issue: "Free Radicals"
36_4 (1996): Phyton 36/4; Special Issue: "Achenkirch II"
36_3 (1996): Phyton 36/3; Special Issue: "Bioindication..."
32_3 (1992): Phyton 32/3; Special Issue: "Sulfur Metabolism"